Wurk, a cannabis technology firm, will move to 2162 Market St., shown here. 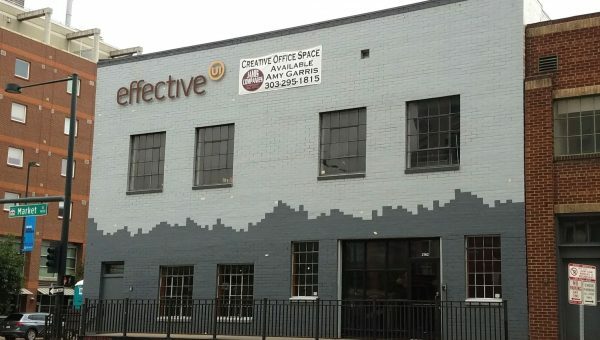 A Denver-based cannabis technology firm is nearly tripling its office footprint with a move to the Ballpark neighborhood. Wurk, which focuses on payroll and human resources software for the cannabis industry, signed a five-year lease for 12,000 square feet at 2162 Market St. The company expects to move soon from its current digs at 455 Sherman St.
Jon Jenkins with Ecospace represented Wurk in the deal. Amy Garris with Jamis Cos. represented the landlord. Wurk’s payroll software allows cannabis companies to minimize the tax risk they take by working with cannabis as a federally banned substance. By allowing employees to categorize when they’re directly handling cannabis, companies can maximize the amount of tax deductions for which they’re eligible. “There’s really no better word than ‘workaround,’” said Heather Smyth, director of marketing at Wurk. Wurk, launched in 2015, also offers phone consultations and webinars for up-and-coming cannabis companies. The company has around 30 employees and plans to expand. The new office is designed to comfortably fit more than 70. Wurk is leaving behind other cannabis companies as it moves off Sherman Street. It shared a building with Simplifia, a regulatory compliance software company, and Vicente Sederberg LLC, a legal firm specializing in cannabis law. 1 Comment on "Cannabis tech firm tripling office space in move to Ballpark"
Has this company already move in there new location?